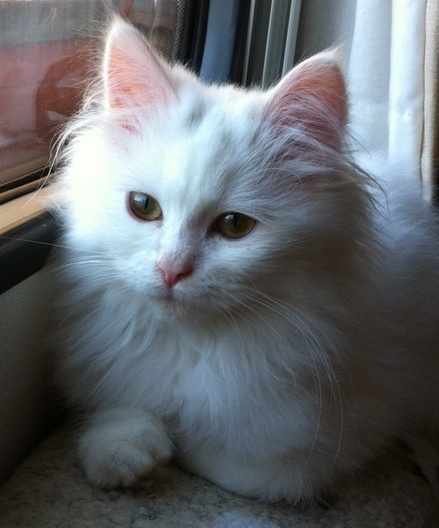 White Siberian cats are very rare. I am so happy to announce that on 2nd April 2010, (just one day before my birthday), my lovely white Siberian queen Mikaela, gave birth to a litter of kittens. We have one white son and two white daughters, two will stay with us for our next generation of 'special' kittens. UPDATE - one year later, May 2011, and the white son who's name is Iriney, has fathered two litters of white babies, and his sister has produced alitte of whites to our home bred boy Bajan. We are so lucky.